BOCA RATON, FL – Consultis, an IT workforce solutions provider, has once again been recognized as one of the Top 25 Women Owned Businesses by the South Florida Business Journal. The technical staffing firm has been included on the Business Journal list numerous times, earning their place among this year’s honorees and proving yet again that their people-centric approach yields proven results. 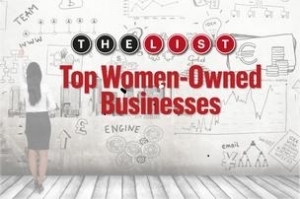 Competition for a spot on the South Florida Business Journal’s Top 25 Women Owned Businesses list is fiercer than ever. According to the Eight Annual State of Women-Owned Business Report, Florida has one of the fastest growth rates for women owned businesses between 2007 and 2018. More women owned businesses occupy the region, so inclusion on the Business Journal’s list, which ranks companies based on their 2017 gross revenue in their South Florida locations, has grown in prestige. Since opening in 1984, Consultis has made a habit of building long-running relationships with technical professionals and businesses throughout South Florida and beyond. The values set in place by Jamie Delsing have enabled Consultis to combine technology and genuine human interactions in a way that creates measurable and effective results. For more information, visit www.consultis.com, or email [email protected], or contact Consultis at 4401 N. Federal Highway, Suite 100, Boca Raton, FL 33431, 561-750-8745. Consultis is an IT workforce solutions provider that adopts a personalized approach to contract staffing and direct placements. Since 1984, Consultis has used our robust technical knowledge and Consultis FISH (Fun, Innovative, Savvy, and Hard-Working) brand motto to build genuine partnerships that run deeper and yield greater results. Headquartered in Boca Raton, Consultis serves technical and business communities in Tampa, Orlando, Boca Raton, Dallas, San Antonio, Minneapolis, and beyond.